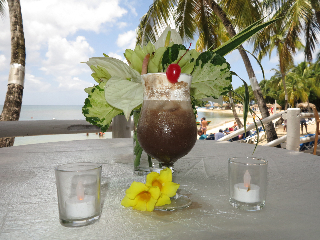 Windjammer Landing Resort, St. Lucia is offering a signature chocolate cocktail; Jammer’s Cacao Kiss to guest’s during the month of October as part of an island-wide chocolate celebration. Combine the dark creme de cacao, the dark rum with the 4-6 oz of hot chocolate. Mix well. Pour over ice and top with whipped cream and shake a dash of chocolate shavings on top. Garnish with a cherry.